Water Damage: Is this the end? — PhoneDoc - Louisiana's Most Trusted Mobile Repair shop - iPhone, Samsung, Android, Tablets, and More! Look familiar? We've all been there - what matters most is what you do right now! It's a well known fact that electronics & water don't play nice together. Even with the latest advances in protective cases and waterproofing techniques, if water makes its way into your device it will find a way to wreak havoc. When liquid comes in contact with live electronics, any number of things can go wrong. First off, water is a pretty good conductor, so it can cause signals and current to jump all over the place between points they were not intended to. This is called a short-circuit and it can cause circuits to overload and burn, rendering any components in its path inoperable. If you're lucky, the first thing to short out will be the battery so it can't keep sending current throughout the phone. Those less fortunate can lose important componenets such as the processor, power control unit, or video output. After the smoke clears, water can still cause trouble. 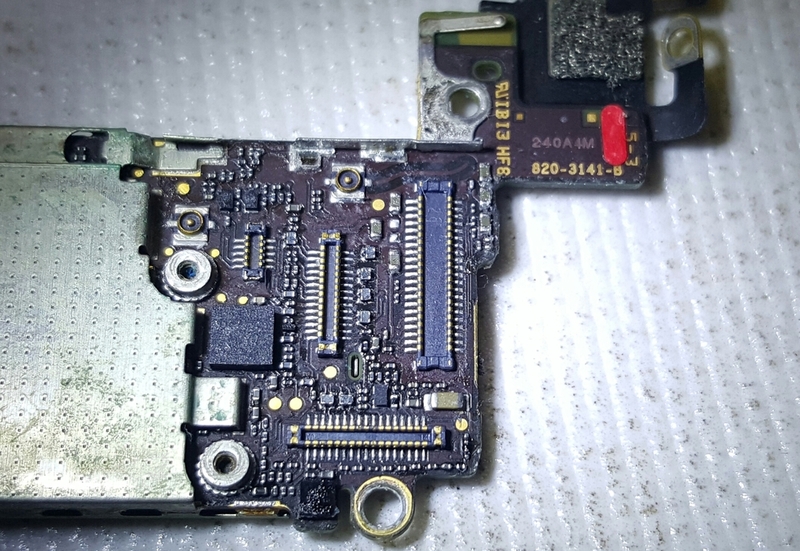 Just as a wrench left outside in the rain will start to rust overnight, the metallic compounds that make up your phone's circuit board will begin to oxidize and corrode after contact with water. 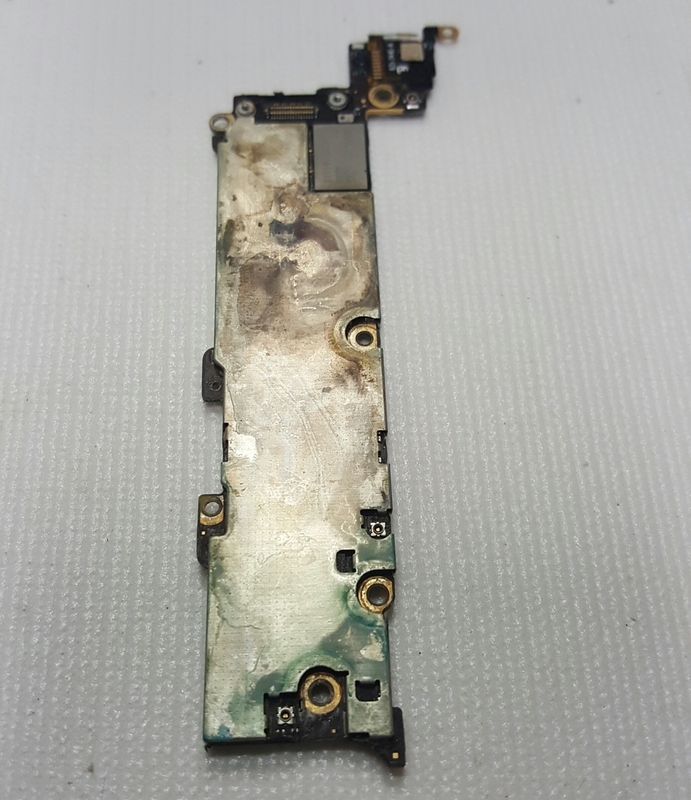 Even if the phone was working fine right after getting wet, this corrosion can deteriorate the various circuits and components over time. If the phone shuts down unexpectedly a few days after exposure this is most likely the cause. Different types of liquid can cause different types of damage. Fresh water will cause immediate shorting, and over time cause corrosion. Salt water is bad news because it can develop rust & corrosion almost immediately, whereas fresh water may take a day or two to start oxidizing. If you dropped your phone in the toilet (we always ask "before or after?") you could be in for bad news. Bodily fluids such as sweat, urine, and vomit can be high in acid and salt, both of which accelerate damage to the fragile internals of your phone. If you know your phone has come in contact with salt water or one of these bodily fluids, you may want to consider flushing it out with fresh water (this is generally not recommended unless the damage is already done). Isopropyl alcohol is also a great flushing fluid. 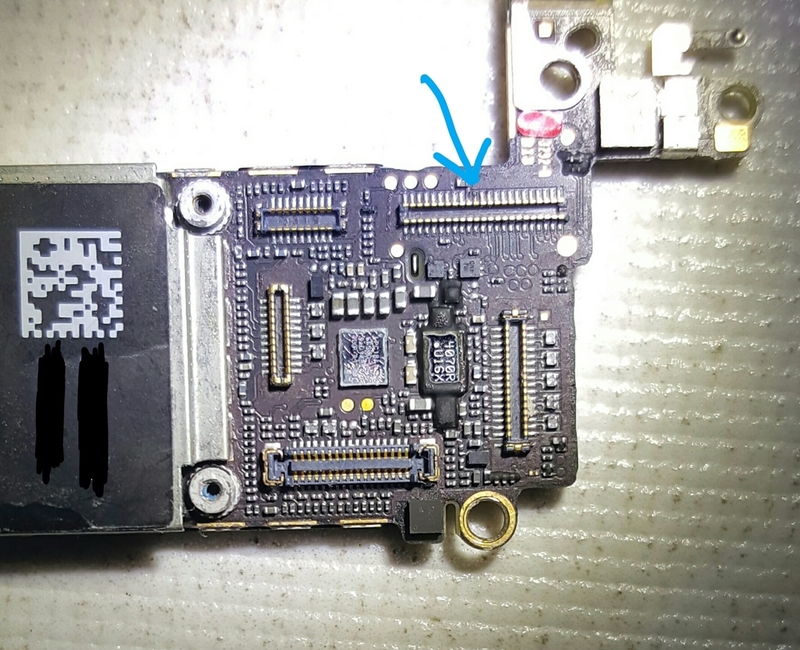 It can displace whatever liquid entered the device, is non-conductive, and evaporates very quickly. Again, introducing more liquid to your device is generally a bad idea unless you know what's in there is doing major damage. Alcohol, although often at fault, is less destructive to electronics. High-water content beverages like beer will definitely do harm, but alcohol itself is both sterile and non-conductive so a high-proof liquor will cause considerably less damage than other beverages. What will do harm is the water, juice, soda, and other mixers involved in your drink. There's no getting around this - your phone is not thirsty, so keep it away! I GOT MY PHONE WET. WHAT SHOULD I DO? First and foremost, TURN IT OFF. Don't plug it in, don't power it up, and don't try to use it at all. If you have a removable battery, pop that bad boy out of there and don't plug it back in until you are certain the phone is dry. The sooner you take action the better. Here's the basic gist: do whatever you can to get the water out. If you have the necessary tools & skills, go ahead and start taking it apart. If not, at least try to shake, blow, and otherwise shimmy out any liquid you can. From our experience, putting your phone in a bag of rice, oatmeal, or any other type of material intended to wick the moisture out of the phone is not very effective. However, it also doesn't hurt (generally speaking) so if you think there's a chance of restoring functionality go ahead and give it a shot. Our first step with any wet device is a complete disassembly, followed by a microscopic deep cleaning and drying process. At PhoneDoc we use a tried-and-true process for bringing wet phones back to life. That's not to say it's 100% successful; there are just myriad ways for liquid to cause catastrophic damage. We do believe we're your best shot though, so feel free to stop by or give us a call so we can help revive that dead device.